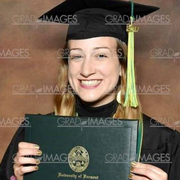 I am a recent college graduate (graduated in May 2017). I have a lot of experience working with children in a variety of settings, including in an after school program, a daycare center, a summer camp, as a site director free lunch program for children, and babysitting for multiple families. My non-babysitting childcare work experience is listed below, and I can send you my resume with more details if you contact me. Working with kids is very fulfilling for me, and I would like to gain even more experience working with children and families!